Robotics has the potential to transform industries and the economy. Gain the skills needed to work in this advancing field by studying Engineering at Victoria. Robotics is a fast-developing and exciting new branch of technology. Advances in machine learning and artificial intelligence are pushing the boundaries of what robots can do. What was once ‘the future’—self-driving cars, robots that clean your room or provide care for hospital patients—is now likely to become real and even commonplace in our lifetimes. Study a Bachelor of Engineering with Honours with a focus on either software or hardware, and gain the vital skills needed to work in this growing field. With the potential for robotics to transform industries and the economy, and support our ability to address global challenges and improve lives, robotics engineers are working in a range of businesses and roles. Jobs in robotics are expected to grow and attract high salaries. You could be designing home automation devices, or developing robotic solutions for the agriculture industry, healthcare providers or transport. You could even be building robots for use in outer space or to explore the depths of the ocean. At Victoria we’re focused on advancing the technology behind sophisticated ‘mobile robots’—those that can explore and adapt to a range of environments with increasingly sophisticated decision-making. Our researchers are developing lateral thinking robots and sonic robots that create music and art—challenging definitions of what a robot is. 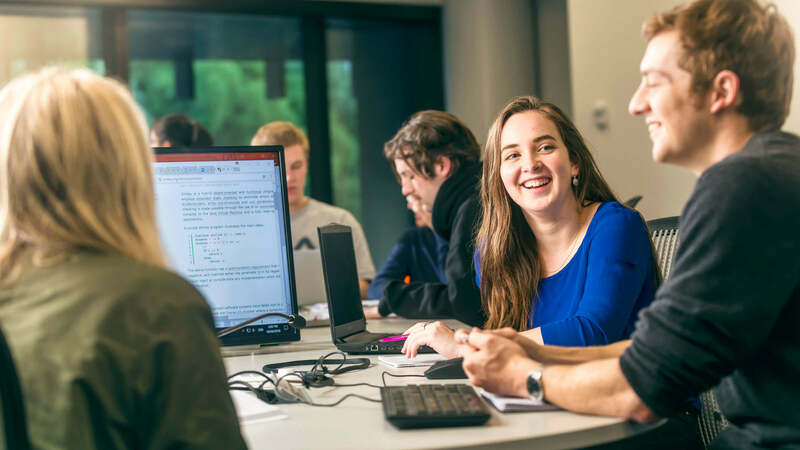 Our Electronic and Computer Systems Engineering and Software Engineering majors in the Bachelor of Engineering with Honours are fully accredited by the Institute of Professional Engineers New Zealand (IPENZ), so you can be confident knowing your degree will be recognised internationally. Every year, Victoria students compete at the National Instruments Autonomous Robots Competition. They pit their robot building and programming skills against teams from across Australasia and regularly win awards or place highly. Choosing your programme of study in the Bachelor of Engineering of Honours will depend on what aspect of robotics most interests you. You can study robotics software in the Software Engineering major. If you see yourself building the hardware, then the Electronic and Computer Systems Engineering major is for you. Your first year covers the basics of programming, intelligence algorithms and how robots learn about their environment. Your second year builds on this knowledge to investigate the tools behind artificial intelligence systems, and how to build a system from scratch. In your third year of study, you’ll bring this knowledge together and start to develop artificial intelligence programmes and consider the ethical implications of these. Create state of the art algorithms and processes in your final year. In your first year you’ll learn about programming, and the physics and maths which underpin electronic systems. In your second and third years, you’ll learn about the sensors and actuators that allow robots to interact with the world including sound, vision, and touch sensors. You’ll also explore the ethics of robotics and build, and take control of a robot. Graduates will have expertise in advanced mechatronics, understand how robots learn about new environments and be able to design and build complete robotic systems.